and...I finally finished it. The story that began on Stormy Glenn's Winter Manlove is done and now available on Amazon. Winning the huge lotto jackpot should have made Ken Moore’s life better, but instead it turned his life into a living hell. Finding some peace in his new remote home, Ken turns to writing about the love he dreams of, never really expecting to meet the man of his dreams. A forest fire changes all his perceptions, when he finds his dream man stranded on the side of the road. When Charlie Brandt and his grandfather had to run from the same forest fire, he thought they were going to die when their old car stalled out and wouldn’t start again. In a remote area, with very few people, hoping for a miracle wasn’t easy. The last thing Charlie expected when he waved down a passing car, was to meet a special man Charlie felt an instant connection to. Finding out that Ken was the huge lotto winner didn’t concern Charlie, but his pride wouldn’t let him allow Ken to keep buying stuff for him. He had never taken advantage of anyone before, and he refused to start now. But that money was important to a lot of other people too. When an old terror from Ken’s past, and a new one join together to destroy Ken and take his money, will Charlie be able to keep him safe? So, I can finally speak about the book that I have been working on with my friend, the amazing Lisa Oliver. And yes, this is a spin off from Cupid's Valentine. While dumpster diving for food to feed his brother and himself, Peter Ames was discovered by the shop owner Cupid. When the offer for a free meal was giving to him, Peter was overjoyed at the prospect. 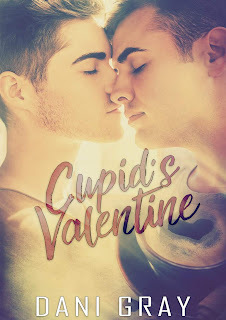 Later, when Cupid offers him a job washing the dishes, a very grateful Peter would have done just about anything for the man who helped to make sure he could support himself and his brother Harvey. When the wards that Cupid, the god of love, had placed around his namesake’s shop went off and he went to investigate, the last person he expected to meet was his mate. Upset at how busy his life already was, Cupid, or Eros as Peter preferred to call him, turned his back on his mate. When he realized that the Fates weren’t going to change their minds, Eros was horrified to find out that his neglect had left his mate near death. But even with a god’s protection, life isn’t rainbow clouds and buttercups. A man from Peter’s past wants him dead and doesn’t care if anyone gets in his way. Will Peter and Eros ever be able to live their life as the Fates directed, or will Peter be struck down from someone else’s hatred? Well, as promised, the second story that I had posted in Stormy Glenn's Manlove Fantasies has been submitted on Amazon. Now we just have to wait for it to go live. Adam Richards was a normal guy, out with some friends, and in a drunken dare wrote the rules for the Church of the People. After being attacked for being gay, his parents put him into cryogenic sleep until medicine could find a way to help him heal from the damage done to his body and brain. Enath Rozokad was the commander of the demon warriors sent to protect the pod with the Supreme Leader in it. Unfortunately at the time of the rescue, the kidnappers detonated some explosives, including one on the pod. When Adam woke up, in an unknown future as the religious leader, looking at all the different species in this Empire he suddenly found himself in, Adam didn’t know if he could live in tomorrow’s today. So, for those of you who have been reading my contribution to Stormy's Manlove blog, I need some help. 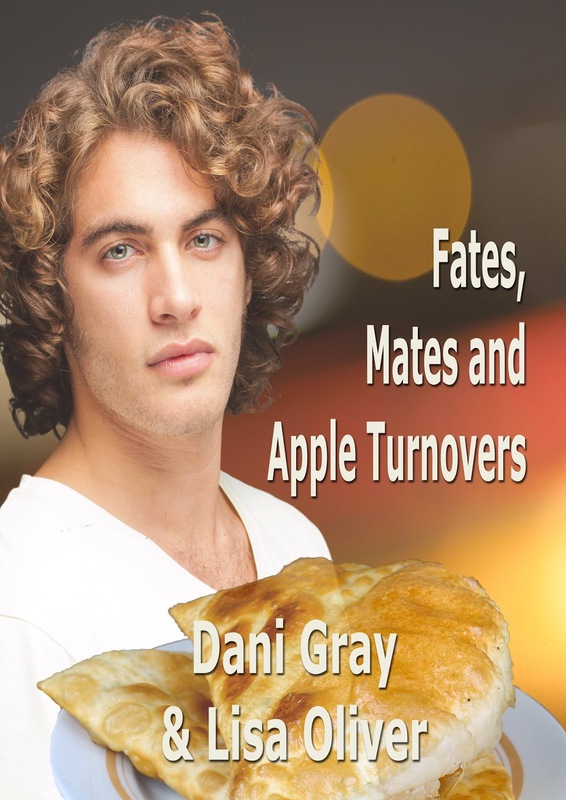 I'm going to be self-publishing this on Amazon, but I don't know what the title should be. I thought of something like Finding his Future Love, but I just don't know. So, if someone can come up with a better title, that person will get a free copy of the book when it's done. Feel free to leave your comments on here, and if you think your friends would like the story, have them give it a read and see if someone can help me find the perfect title. I finally finished and have my first self-published book up on Amazon. I hope you enjoy this short story. I had previously published this in a box set, but when I got the rights back I added quite a bit to it. As always, don't forget to let me know what you thought of the book. and....edits done and submitted to the publisher. So far the release date is on the calendar for June 19th. and...I submitted it finally tonight to the publisher - book 4 in the Taking Care series. This has been a long process for me to get it done. This has been the longest one yet, it's 42,900 words long! Andy Dean struggled with how controlling Henry Hogan was. Debating if he could stay with someone like that, he tries to decide if he should stay or go. Andy only ever wanted a partner, he didn’t need a parent. When a car bomb takes away years of Henry Hogan’s memories, he lashes out from his years of being deeply in the closet. Will he be able to recover his love for Andy, or will that be lost just like his memory? Can Andy and Henry save their relationship, build it into something strong and lasting, or will Andy find love with someone else, Jerrod Evans, the doctor who helped to look after Henry while he was in the hospital? Andy Deans was pissed. Not just angry, well beyond that and into royally pissed. How dare they keep saying he can’t do anything. It’s had been eight weeks since his car accident, and the doctor removed his cast from his arm yesterday. His broken cheek and nose healed fine. He was given the all clear to drive and resume regular activities, so why wouldn’t anyone in the house let him? He knew that going to his apartment over the garage wouldn’t stop anyone from coming and bothering him, but he needed the time alone. As much as he knew he loved Henry, he just couldn’t be in the same room as him right now. He was angry enough to say the wrong thing and lash out without thinking of what he was saying. The only thing he ever learned to pay attention to was when his cousin Amy told him ‘to think before you speak’ because words can do more damage than everyone thought. Thinking about that had him wondering how Amy was, he missed her. Grabbing his cell, he pulled up her phone number and called her, walking to the window to see who was outside. “Hello.” A man’s voice answered her phone. Amy had been badly beaten by her brothers, the cousins who had tried to kill everyone in the house. They found out that Amy had been talking to Steve, Andy’s older brother, so they decided to beat her up before they went after Steve. Amy heard their plans to burn the house down with everyone in it, so she let Steve know to warn Shane and Abe. They heard her call Steve and almost killed her for letting out the warning. She was still in a coma from what her brothers had done to her. “I will.” Xan said, then disconnected the call. Andy slowly moved away from the window he had been looking out of while chatting on the phone, and went over to the closet. He decided he was going to go see Amy, maybe being able to talk with someone else, even though she couldn’t respond, would help him think through his feelings and frustration. Once he finished grabbing a jacket, he sent a text to Shane to let him know where he was going. He didn’t want anyone to worry about him, but he needed some space. Glad his apartment was over the garage, Andy took one of the SUV’s and headed out to the hospital. He jumped a bit when he heard the phone ring, but he should have been expecting someone to call. Hearing the voice from the car say it was Shane calling, had him relieved. He didn’t want to speak to Henry. “On a scale of one to ten, how angry are you?” Shane asked. Andy was able to hear the concern and humor in Shane’s voice. “Bye.” Andy added, before disconnecting the call. Enjoying the time out alone, Andy drove over to his favorite corner ice cream shop. This was a small place that had been operated by the same family for over eighty years. They had pictures on the walls of the various generations who worked there. Andy knew he would never have family pictures on his since he refused to have anything to do with his family, except for his brother Steve and Amy. After getting his pistachio ice cream cone, Andy felt a bit better. Maybe on the way home, he would get a bubblegum one. He loved that there were so many flavors to eat there, but he always felt like there was so little time. A person could only handle so much brain freeze in a day. Having finished his ice cream cone by the time he arrived at the hospital parking lot, Andy decided to park at the end where there were only a few cars parked. He was looking forward to the walk, especially after being cooped up in the house for the past couple of months. Enjoying the sunshine, Andy stood beside the car and lifted his face, letting the heat from the sun soak into him. Heaving a huge sigh, Andy headed towards the front doors of the hospital, going into the area where Amy was being kept. After getting on the elevator to go to the floor she was resting on, Andy refused to say it any other way, he called out his hi’s to the people he recognized. Going into her room, he saw she was resting comfortably, but glad that someone had turned down the monitors. That constant beeping was enough to keep the dead awake. Amy needed her rest to continue to get better.